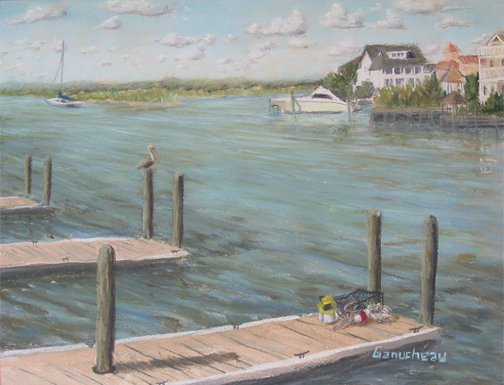 Original Art; Pastel pleine-aire painting of Bank's Channel overlooking Harbor Island, Wrightsville Beach, NC by Rose Ganucheau. Bank's Channel runs behind Wrightsville Beach. 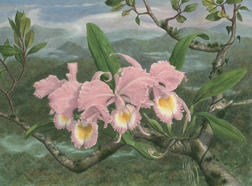 This scene was painted at the small public boat dock and park next to the south bridge on a sweltering late- summer day. More and more clouds kept popping up in the sky, growing and blowing across the landscape. I wondered where the folks in the sailboat were headed next.